Angry Vampire Spike. 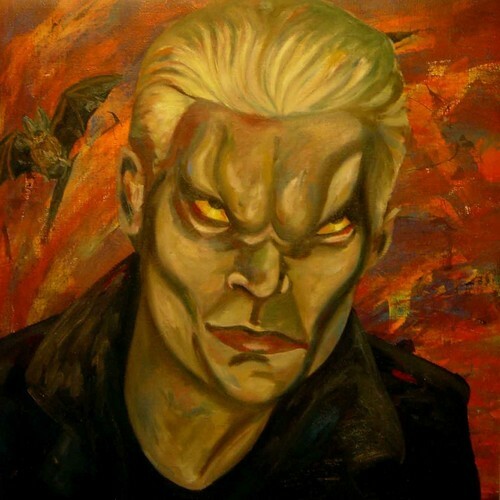 An oil painting of Spike in Vampire Face - da Ellin. HD Wallpaper and background images in the Buffy l’ammazzavampiri club tagged: spike ellin buffy the vampire slayer fan art vamp face painting james marsters. Xander & Willow as Vampiri#From Dracula to Buffy... and all creatures of the night in between. Season da Season - Big Bad fan Art.